I hope you enjoy learning about my dogs. 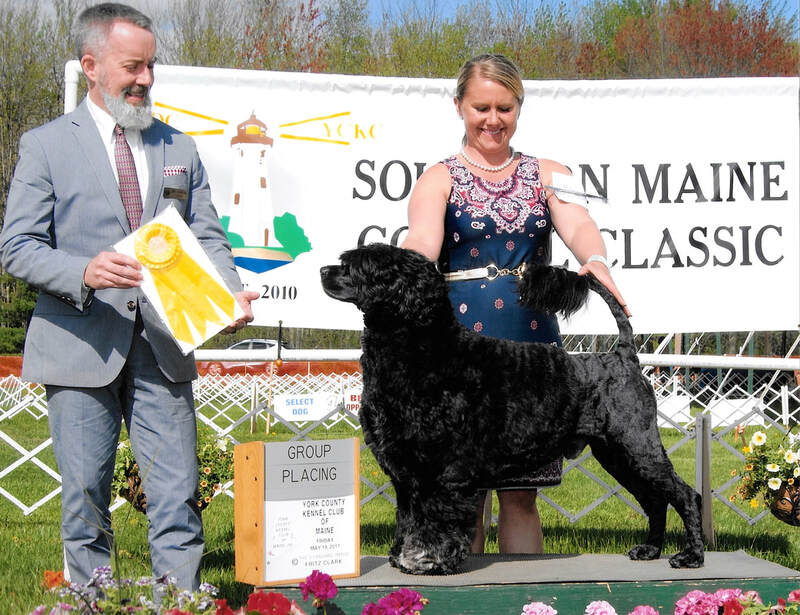 Feel free to view this site and contact me with any questions about Portuguese Water Dogs. I have included pages about my family both two legged and four to help you get to know me. On my puppies page, you'll find photos of past litters, along with information about puppies that will be available in the future to approved homes. KIDD RECEIVING A GROUP PLACEMENT! Please contact us for more information about our dogs and puppies .